At Lice Treatment Solutions, our mission is to make lice treatment in Baytown as easy and affordable as possible. With the best lice prevention products and thoroughly trained lice removal technicians, there’s a reason we’re Baytown’s Top Rated Local® lice removal salon. Our lice treatment center is just a short drive away from Baytown, and we guarantee that you’ll be satisfied with our lice prevention products. Contact a friendly member of our staff today to schedule an appointment, and continue reading below to learn more about our services! The best way to prevent a lice infestation from turning your home upside down is to prevent it from occurring in the first place. Summer camps, daycares, and schools are all common locations for lice infestations, and it’s important that you invest in the resources you need to maintain a lice-free household. Unlike other lice prevention products you’ll find on today’s market, our lice prevention shampoos and conditions are made using all-natural compounds. Whether you’re sending your child off to summer camp or purchasing lice-prevention shampoo due to an outbreak at school, you can shop with us with the confidence that your child’s scalp will remain healthy and nourished. Treating head lice is both difficult and time consuming. Head lice are small and easy to overlook, making it difficult for the average person to successfully treat a lice infestation. 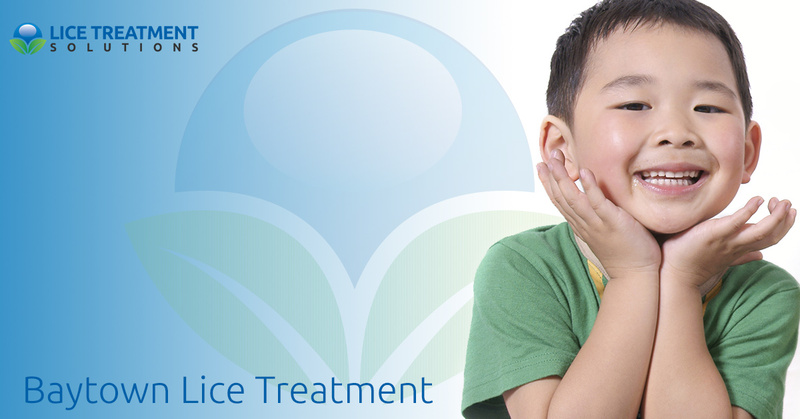 Lice Treatment Solutions is proud to be the go-to lice treatment center for Baytown residents, and we guarantee that you’ll leave our lice treatment salon completely free of lice. Our friendly and professional technicians can recognize a lice infestation at any stage, and we’ll work to develop a comprehensive diagnosis and treatment plan for your specific circumstances. Our initial head lice inspection is $10 per person, and we waive this fee if you require treatment. Lice removal treatments are priced at $75 for men and $120 for women. Our one-time payments include all of the lice removal services you need, and we never add hidden costs or hourly fees to your bill. We have an exceptional success rate, but we provide unlimited follow-up appointments for 30 days after your initial treatment. Some schools and daycares require proof of lice treatment before children are allowed to return, and we’ll happily provide you with a certificate of lice removal upon request. Contact our lice treatment center for an inspection if you or your child are experiencing any of these symptoms. Our hours are flexible and can accommodate a variety of schedules, making it easier than ever to receive the attention you deserve.